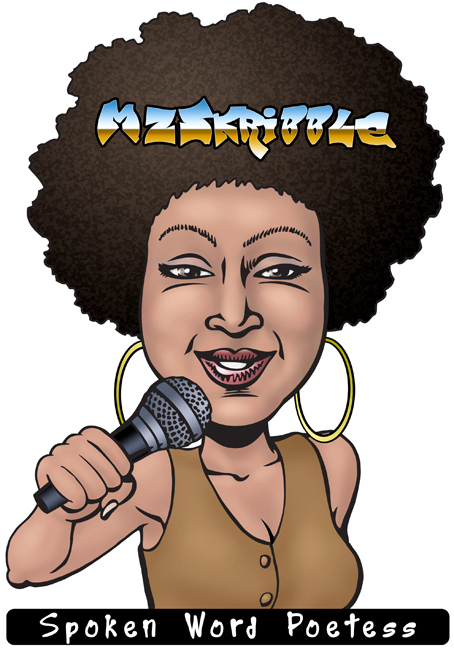 This was a particularly fun project, a caricature/logo for a def poetry Poetess by the name of "MzSkribble"! Click the image to view her channel on YouTube and hear her poetry! She's brilliant!